The first thing, you will need to do is login to the administrators account for your website and navigate to the Manage>Extend section from the main admin panel. 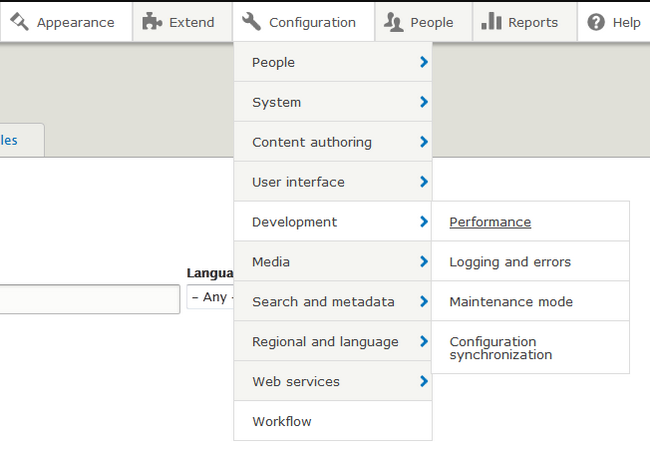 Here you can see a list of the extensions for your website and you can enable and re-configure them according to your needs. 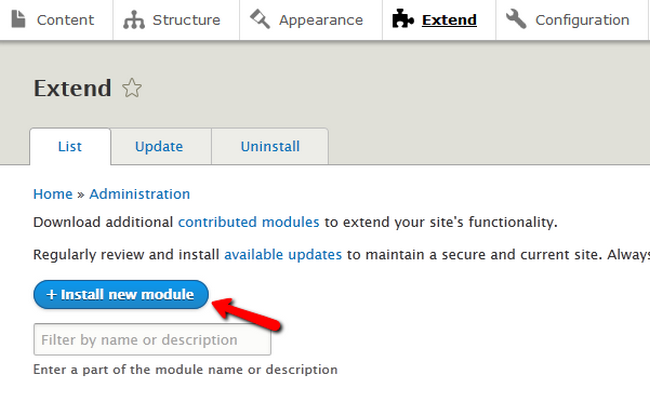 To get a new module, click on the +Install new module button. 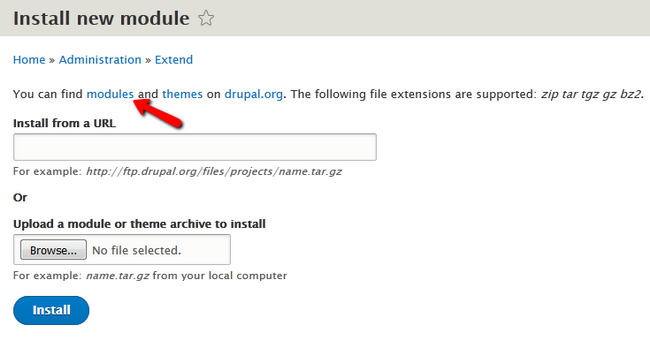 Open the modules link in a new tab or the official Drupal website and navigate to the Modules section. Here you will be able to look for a specific module based on its status and version compatibility. We will use the Admin Toolbar module as an example for the purposes of this tutorial. Download the 8.x version release. 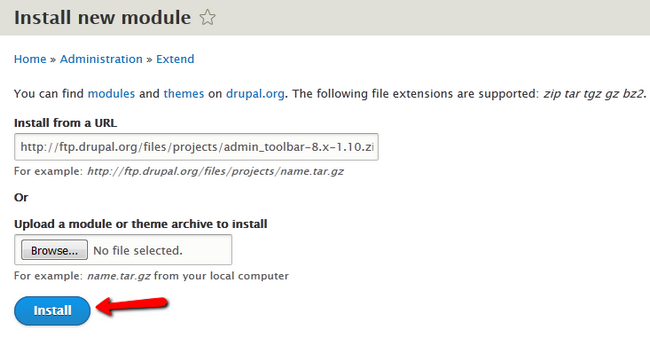 You can upload the archive via the Browse… button or just copy and paste the link to it in Drupal and click on the Install button to continue. After the Installation has been successfully completed, you can click on the “Enable newly added module” option to enable and configure the module. Scroll down in the List till you find the Admin Toolbar and Admin Toolbar Tools, mark them and click on the Install button at the end of the page to enable them. Usually after installation, you will also be able to configure the new module by clicking on a Cogwheel icon marked as “Configure”. However for this plugin there are no configuration options. Now, if you try to hover over a menu from the main panel you will see all child sections included in it. 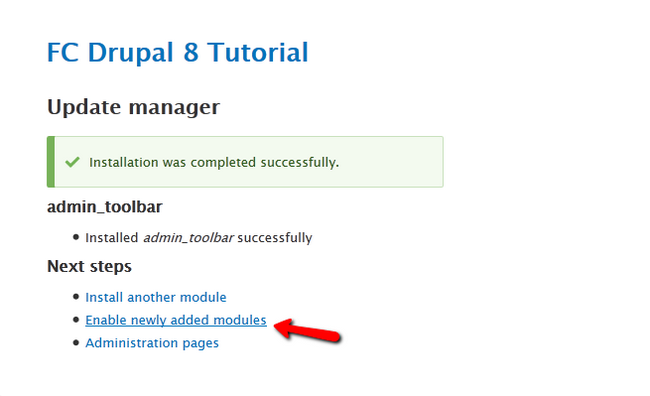 Congratulations, you now know how to find, install and enable new modules for your Drupal 8 website.